Women’s role and the conflict’s nature and history influence the “republican” masculinity and its roles in the Northern Ireland conflict and its representation. Despite its actual socialist im-plications and aims the so-called “troubles” are dominantly framed as national-separatist, es-pecially in the movies (if there is at all a cause presented). In addition, according to the Irish republican ideology the struggle for independence and self-determination is deeply rooted in the past which significantly shaped the all-Irish identity and culture. Despite the real activists in this fight for freedom imagination of women were predominately assigned to symbolic functions as idealised, passive symbols of nationhood (for example the mythical personification Kathleen Ni Houlihan) or the traditional domestic roles of sisters, mothers or wives in everyday life. As a latter women were supposed to nurture the family, care for her husband or waiting patiently and loyal as he was in prison. In addition to that, women were – at least subtly – expected to fulfil a concrete biological duty for the cause: By majority of the people Northern Ireland could be united with the Irish Republic. Therefore giving birth to “republican” babies are (and maybe still is) political. Films like MAEVE (UK/IRL 1982) question this counter-emancipatory world of the “troubles”; the comedy THE MOST FERTILE MAN IN IRELAND (UK/IRL 1999) mocks the ideological duty for procreation whereas enlisted and active female members of the IRA, outside of their assigned sphere and despite real examples, are often depicted as cold-hearted or even psychotic soldiers in films like THE CRYING GAME (UK/J 1992) or A PRAYER FOR THE DYING (UK 1987). But how are men and masculinity determined and described in the fictional representation of political violence in Northern Ireland? Movies about the conflict scarcely present terrorism (in a more limited sense): Unlike stories about or including acts of sectarian violence, the guerrilla actions against British troops or violence inside the own community there are hardly any films about e.g. the planning and executing of bombings, especially not in (and against) England. This differs from motion pictures about the Anglo-Irish war at the beginning of the 1920s or the IRA bombing cam-paign in London during the World War II (THE GENTLE GUNMAN [UK 1952]). Those films do offer the typical tragic stance of Irish histories and reflection on legitimacy and limits of the use of violence. But at the same time they present the notion of war adventure movies including camaraderie of heroic men, who are proud to dedicate their lives to a just cause (as in SHAKE HANDS WITH THE DEVIL [IRL/USA 1959]). But ODD MAN OUT (UK 1947) already shows a wounded nationalist on the run in a gloomy fatalistic Belfast, a weary IRA man as homeless, lost and doomed figure, trapped in a bleak world. Films about the “troubles” are mostly dramas or tragedies. 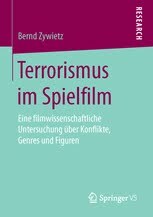 Even the sporadic comedies, produced in times of peace fires just invert the structure of typical terrorist’s masculinity and its features without questioning the fragile narrative neutrality in this political and social minefield: While ideology or propaganda defines republican Volunteers as victims, movies are cautious and reflexive as they describe them as victims of (ordered) victimization. Contrasted by the movement’s high ranking fanatic bad guys the protagonists are rather passive victims of circumstances. They do not earn much money and live in a closed world of violence. They inherit the struggle as a kind of tradition, a struggle they do not want, one that lost its meaning. The biological fathers (as in IN THE NAME OF THE FATHER [IRL/UK 1993] or TITANIC TOWN [UK 1998]) are weak and domestic. The real representatives of the (false) masculinity only offer the prevalent order of the IRA, ruling the streets and gathering in pubs. They are mobsters (FIFTY DEAD MAN WALKING [UK/CAN 1999]) or hardliners trapped in a petrified past which dictates and justifies the rules of oppressing social life (THE BOXER [USA/IRL 1997]). The Terrorist and anti-hero is a follower or a broken and hunted dropout without a cause. Or he is radicalised by the father’s murder (as he is in THE DEVIL’S OWN [USA 1997] or the coming-of-age- tragicomedy MICKYBO & ME [UK 2004]), so that he becomes an aven-ger without any hope of a concrete satisfaction or political implication. There are often conflicts with father figures like priests or policemen (as representatives of peace, civilised law and its order) especially when the protagonist is the young rebel, somewhat stereotypically embodied by Mickey Rourke (A PRAYER FOR THE DYING) or Brad Pitt (THE DEVIL’S OWN). But the real Northern Irish actors too present their character’s tragic manhood by their features and body: James Nesbitt and John Lynch, Liam Neeson, Stephen Rea or Daniel Day-Lewis – are gaunt pale males with weary eyes. Most of them, especially the small Gerard McSorley, change political sides from one role to another, playing determined IRA militants and hunger strikers, policemen, priests or innocent victims of terror. The Northern Irish terrorists in the cinema is no hard body, no “real” man and when he might get himself into acting like one, he does it strangely unconvinced or sadly driven. He is somehow juvenile, unfinished and not grown-up yet – or on the other hand slightly feminine as an alternative (accompanied with the notion of women as peace-maker and -keeper). Neil Jordan’s famous THE CRYING GAMES might be the farthest-reaching exploration of gender issues concerning “troubled” cinema, its politics and violence. After the death of a British soldier held hostage, ex-IRA fugitive Fergus (Stephen Rea) takes care of the soldier’s girlfriend called Dil (Jaye Davidson). But he has to discover that she is in biological terms a “he”. So Fergus is stuck between terrorism with its defining of the identities and, according to that, reducing bodies to expandable political and symbolic commodities and – on the other side – a free, transgressive, a fluid feminity. At last Fergus makes his peace with an unbound “false” (wo-) man and finds his place and something like freedom in prison. Where, ironically, Dil as an indefinite, loyal and uncomplaining “prisoner’s wife” visits him in the final scene.